The city of Gainesville is looking for a part-time Election Specialist! Performs various clerical duties and provides election support to the City Clerk. Provides public assistance and maintains records. Primary responsibilities involve planning, organizing and conducting municipal elections. Secondary duties involve records management. Works 20 to 29 hours per week. Plans and coordinates activities required to conduct fair and impartial municipal elections in compliance with applicable laws. Prepares election calendars, public notices and other relevant materials. Prepares various election material for candidates, elected officials and the public. Updates the streets list upon request from the Hall County Elections Office. Receives qualifying fees and qualifying documents. Receives disclosure reports and/or other filings required by the Georgia Government Transparency Campaign Finance Act. Recruits and trains poll workers. May be required to help setup polling locations. 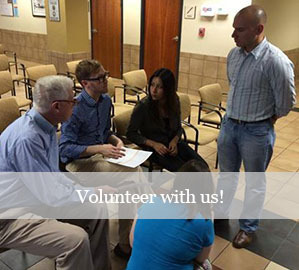 Conducts community education and/or outreach projects, including but not limited to voter registration events. Attends various election related meetings including but not limited to monthly Board of Elections & Registration meetings. Establishes standard operating procedures in compliance with Federal, State and local laws. Assist with redistricting/reapportionment occurring after the decennial census. Performs records management related task when not conducting election related task. Scan, index and file records maintained by the City Clerk’s Office. Retrieve records from storage upon request as needed. Performs other duties as assigned by the City Clerk. High school diploma or G.E.D. with at least three years office experience in an administrative capacity. Two years of election experience preferred. Any equivalent combination of education and experience which provides the minimum level of qualifications stated above. Valid Class C Driver’s License and satisfactory Motor Vehicle Record (MVR). Must be able to successfully complete Georgia Election Official Certification Program and become certified in election administration. Comprehensive knowledge of office terminology, procedures and equipment as well as knowledge of business arithmetic and English. Knowledge of the operations and functions of the City. Knowledge of local, state and federal laws as it pertains to Municipal Elections, Records Management, Campaign Finance Act and other relevant topics. Ability to operate standard office equipment and election equipment. Knowledge of the installation and operation of election equipment. Ability to tactfully and courteously interact with voters, elected officials, candidates, management, city employees and the general public. Communicates well in both verbal and written settings. Ability to work independently and make practical decisions while producing quality work with speed and accuracy. Ability to operate Microsoft Office software at intermediate level specifically Word, Excel, Power Point and Microsoft Publisher applications. Ability to accurately complete deadline driven assignments on short notice. Able to work extended hours and/or irregular hours as needed in conjunction with municipal election duties. Able to conduct fair and unbiased elections. Available to attend periodic offsite training. Majority of work is performed in a stationary position (sitting or standing). Occasional bending, stooping, squatting, twisting, pushing and pulling. Occasionally lifts light and heavy objects, climbs ladders and uses tools/equipment requiring a high degree of dexterity. May climb stairs as needed. May occasionally relocate items weighing 10 to 40 pounds utilizing carts, dollies, hand trucks or other reasonable equipment. This class specification should not be interpreted as all inclusive. It is intended to identify the major responsibilities and requirements of this job. The incumbents may be required to perform job-related responsibilities and tasks other than those stated in this specification.